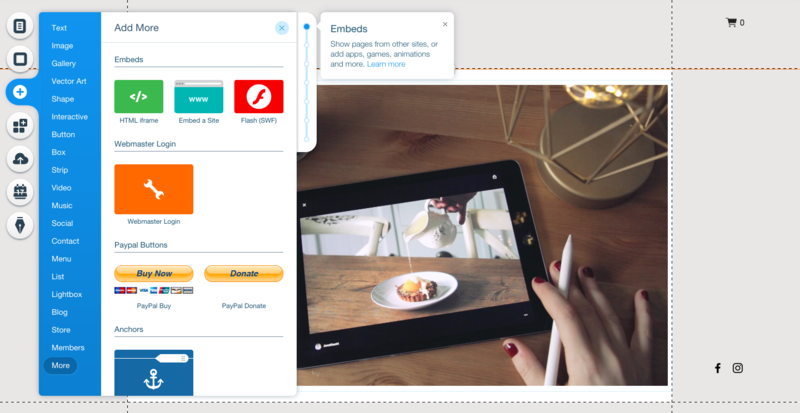 Follow the steps below to copy the embed code of your cinemagraph and embed it to websites built with Wix. If you're already familiar with uploading and embedding cinemagraphs, you can head straight to the Wix instructions at the bottom of the page. The Wix Editor also offers a variety of free cinemagraph backgrounds you can add to your website. For more information about building your website with Wix, visit the Wix Help Center.